When your skin is plagued with frown lines, crow’s feet, and sagging skin, it can make you look aged and weathered. 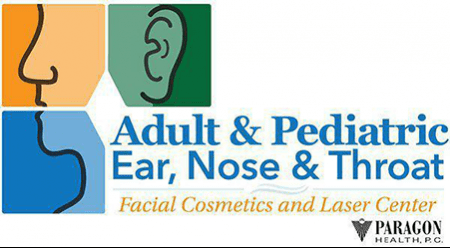 At Adult & Pediatric Ear, Nose & Throat, the professional team of Ear, Nose, and Throat (ENT) physicians offers patients in Kalamazoo, Michigan, a solution with dermal fillers and injectables. With their help, you can restore your skin’s youthful appearance and eliminate the signs of aging. To learn more about these innovative procedures, call the office now or go online to schedule your initial consultation and be one step closer to skin you love. A dermal filler is a specialized injection that fills in voids and hollows, creating a more youthful appearance while smoothing fine lines and wrinkles. At Adult & Pediatric Ear, Nose & Throat, the team of ENT physicians offers RestylaneⓇ, a dermal filler made from hyaluronic acid, to reduce deep facial folds, like nasolabial lines that form between the nose and lips. Restylane is also effective for lip enhancements. By using hyaluronic acid, a natural substance that keeps your skin and connective tissues strong, dermal fillers add volume and fullness, giving you a natural look that you’ll love. While the results are temporary, they do provide immediate effects that last several months. Dysport is an injectable solution that temporarily stops the muscle contractions in your face that cause fine lines and wrinkles. As your facial muscles move and contract, the skin above them moves, folding and creasing with the muscles. With repeated movements, such as frowning, laughing, or wrinkling the forehead, these creases begin to form lines and wrinkles. Dysport interferes with this process, halting muscle movements. With the temporary stop of these movements, the skin smooths and the fine lines and wrinkles between your eyebrows begin to fade. What happens during a treatment with injectables or dermal fillers? When you see your provider at Adult & Pediatric Ear, Nose & Throat, they help you decide what treatment best suits your needs. On the day of your treatment, one of the highly trained team members cleans and preps your skin, preparing it for the procedure. If you opt for dermal fillers, your doctor prepares the injections and strategically administers them in your treatment area. Most procedures take less than an hour. As soon as the treatment is finished, you’re free to go without downtime. Your results are noticeable immediately following your treatment. For patients who decide on Dysport, the procedure is similar. Your doctor prepares the injections. They may ask you to make exaggerated facial expressions to ensure optimal placement of the medication. Once they determine the best place for the injections, the doctor administers them. The whole procedure takes 10-20 minutes and results begin to appear in 2-3 days. If you live in or near Kalamazoo and want smoother, fuller-looking skin, it’s time to talk to the professionals. Call Adult & Pediatric Ear, Nose & Throat today or go online to book your appointment.